In communities all across the country, around the world, small businesses are a driving force in the economy. They add unique character to our neighborhoods and give back to our communities. Time and time again these small shops are showing up for us, let’s make it a point to show up for them. The internet is a beautiful thing – connecting us in to a larger world wide community – which means we can find handmade and unique goods from small business owners from all parts of the world. Let’s make it a point to support our makers and small businesses not just during the holiday season, but year round. When you support small business, you support a dream. 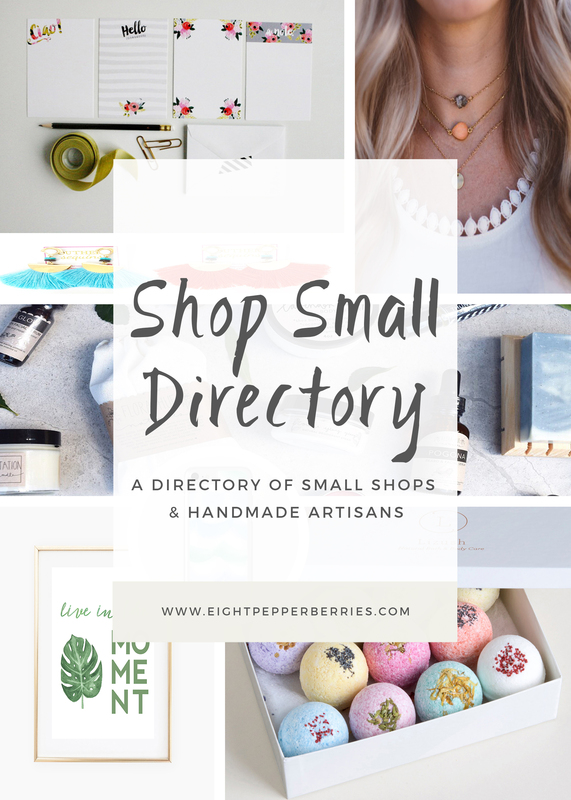 Today I’ve rounded up some of my favorite small business shops, they offer an array of products – both handmade and curated. Remember that one small purchase can make a big difference. Happy shopping! What small shops do you like to buy from? I’d love to know! Please share in the comments below! P.S. Pin this small business directory to Pinterest for future reference – I’ll be adding new shops as I find them!